Stay active, make new friends, and help your community. Help to build or repair a home. 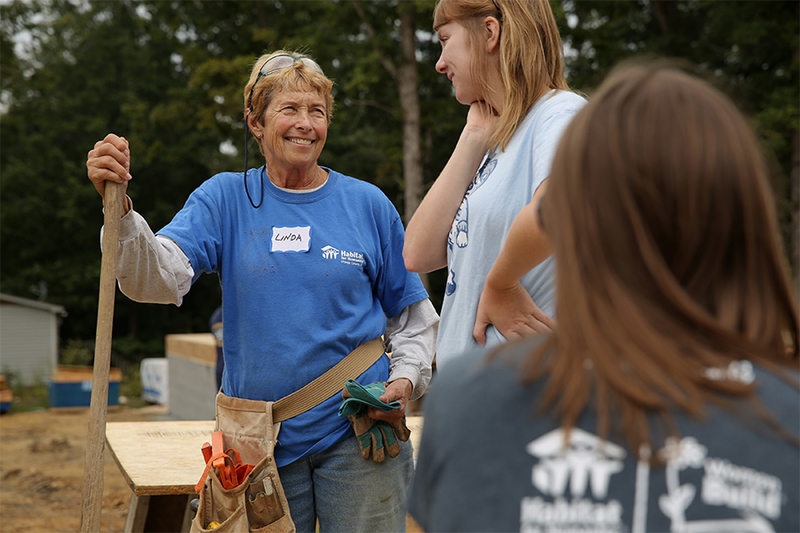 Bring a group to build with Habitat. Sign up to build with Habitat! Build days are Wednesday, Friday, and Saturday. 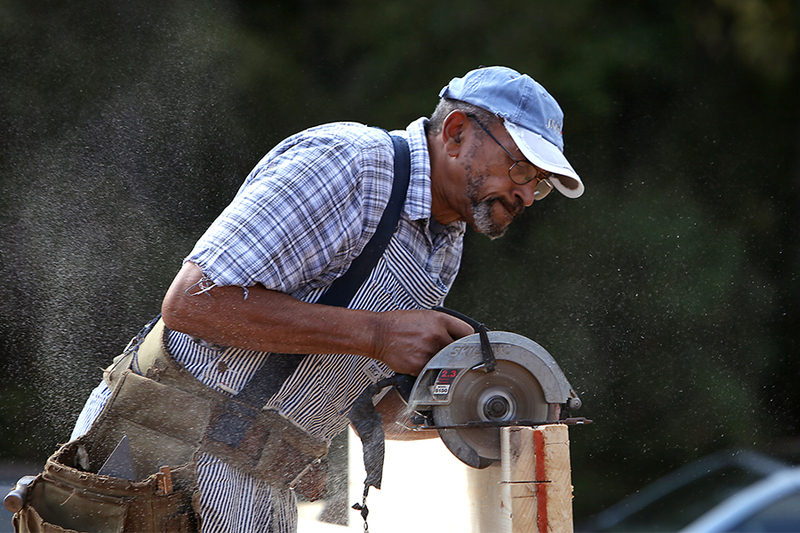 We welcome volunteers of all skill levels--no construction experience necessary. 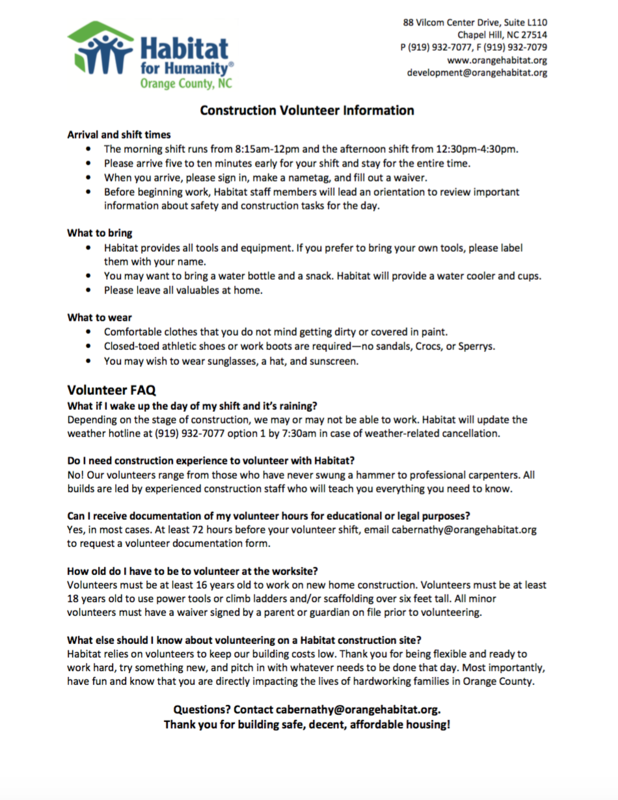 You can read Volunteer Frequently Asked Questions or sign up for your volunteer shift. If you need Habitat for Humanity to provide documentation of community service or volunteer hours, please click here. Habitat welcomes groups to come out for a build day. Past builds have included groups of employees, students, or faith partners. 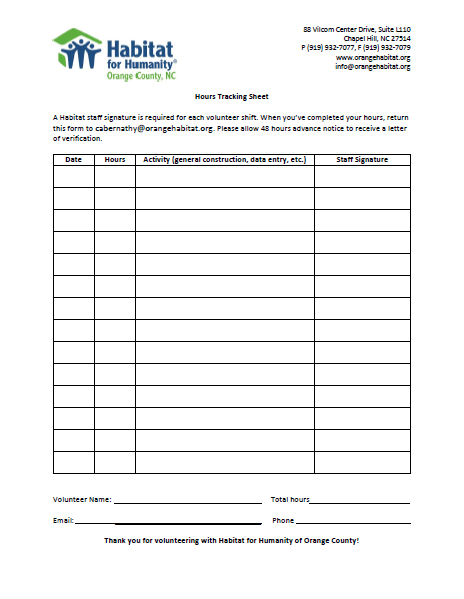 If you would like to bring your group to build with Habitat, please fill out this interest form. Youth are welcome to build with Habitat, although there are age requirements for certain activities. To work on new home construction, volunteers must be at least 16 years old. Volunteers 14 years and older may help with painting through the home preservation program. Volunteers must be at least 18 years old to use power tools or climb ladders and/or scaffolding over six feet tall. 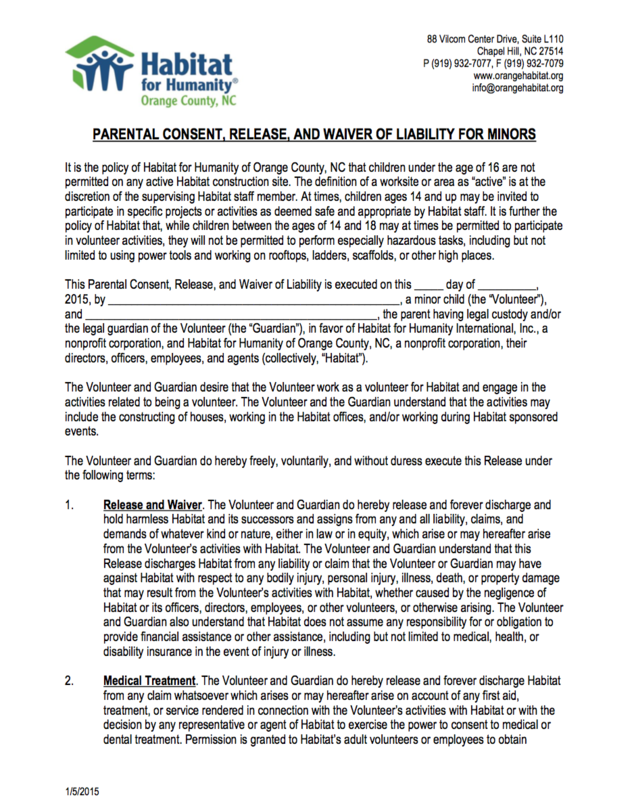 All minor volunteers must have a waiver signed by a parent or guardian on file prior to volunteering. There are Habitat Clubs at East Chapel Hill High School, Chapel Hill High School, and Cedar Ridge High School. If you're interested in starting a Habitat club at your school, contact Christine Abernathy at cabernathy@orangehabitat.org. The couple volunteers with the Wednesday Crew of regular volunteers and the Building Hope Partnership—sponsored by their church, the Catholic Community of St. Thomas More, and by Community Church of Chapel Hill UU, Holy Trinity Lutheran Church, Newman Catholic Student Center, United Church of Chapel Hill, and University Baptist Church College Ministry. As loyal members of the Henry Clark Society, the Heffernans have reinforced the impact of their volunteer efforts by contributing ongoing financial support to invest in Habitat’s work.